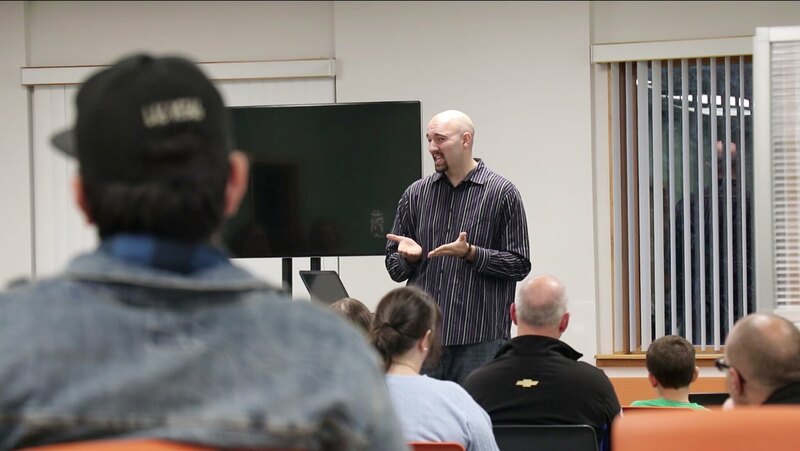 OKEMOS - On October 23rd, NexTech High School of Lansing invited Anthony Ianni of the Michigan Department of Civil Rights to give a motivational anti-bullying presentation to the students and their families. Ianni is a former MSU basketball player, Okemos High School grad and Relentless Tour founder. He shared his story of the struggles as being the NCAA’s first Division basketball player with autism, and how he responds to the bullying with the audiences. “I think what they will take out from the presentation is the message I have that I pass on the kids of being careful what you saying and doing to others, cause you never know who that person would be like in the future. Also, to encourage the kids to go out and make a change in their life,” said Ianni. As the survivor of decades of bullying, Ianni will share his story with more people. “The message like the one I brought tonight, I think it is definitely needed not just here in Okemos, Michigan, but as well as everywhere around the state around the country,” Ianni added.